It has been very much into sight that Indians are quite far from various good opportunities like that of VoIP. Till date there were not much offers in terms of applications that were available for the users of India. Taking this as an advantage, freephoo has made a move by breaking the old strategy and marching the market that is hungry for such arrival. 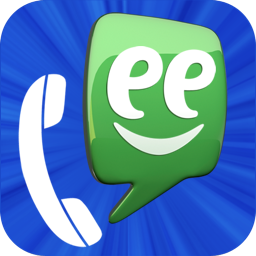 Freephoo which is mainly a Swedish operator is providing its VoIP application to all the mobile users in India. With various android phones, you can easily carry out the downloading of freephoo application. The application will allow the users to make in free calls via their phones through the network of Wi-Fi or the 3G. But there is also a condition that has been kept in respect that you can only make the calls free to users who are having freephoo application. As an application, freephoo is making in use of caller id along with the number to make out cheap VoIP calls to the users of application. The only strange challenge that remains with the Indian users is to find a better 3G connection or Wi-Fi that will provide you fast pace. Make sure that it is only 3G that can provide you with good speed that you must desire for. If you feel like calling a person using your freephoo application that you will have to spend in some money. It is always better to make calls from freephoo to freephoo because apart from that it can be quite difficult to understand the call rates that are available to you as per international call rates.